Things have been a little grim for Fallout 76 since (and even before) launch, so some fans are trying to make their own fun with the game. 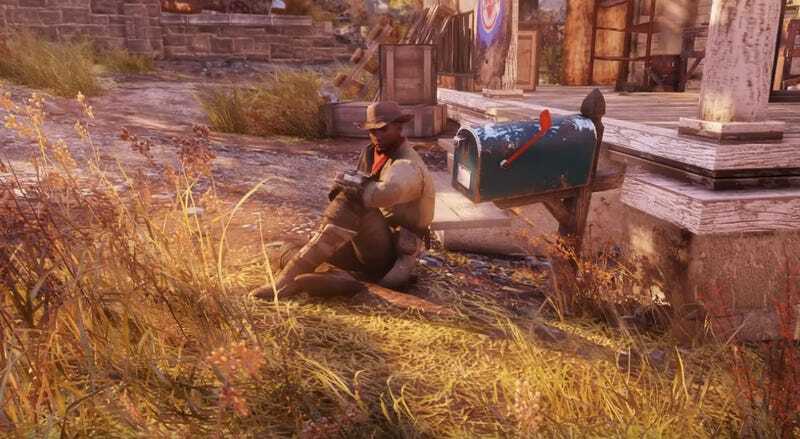 Like RpTheHotrod, who is running around the wastelands of West Virginia pretending to be Fallout 4's Preston Garvey, defender of Settlements. Shame there aren’t any actual settlements in Fallout 76. Or many people who will hear this, since without push-to-talk most folks are playing the game muted. But he’s out there havin’ fun, and that’s all we can ask of those braving the post-apocapyptic wastelands of 2018.